Denmark has accused Iran of plotting to kill an Iranian Arab opposition figure on Danish soil, and is calling for the EU to consider action against Tehran. A suspect arrested in Sweden has been extradited to Denmark. He denies the accusations. The Iranian government, which has accused some European countries of harbouring terrorist groups, has also denied any connection with the alleged plot. The row threatens to have an impact on the 2015 nuclear deal which the EU has been trying to salvage after the United States withdrew and reimposed sanctions. What does Denmark say happened? The head of Denmark’s intelligence service, Finn Borch Andersen, has identified the target as the leader of the Danish branch of the Arab Struggle Movement for the Liberation of Ahvaz (ASMLA). Swedish security police say a Norwegian citizen of Iranian background was arrested in Sweden on October 21, and has since been extradited to neighbouring Denmark. The suspect is said to have been observed watching and taking photos of the opposition figure’s home. The authorities say the suspect has denied charges in court of helping a foreign intelligence service to plot an assassination. The alleged plot has also been linked to a major security operation carried out by Danish authorities on September 28. 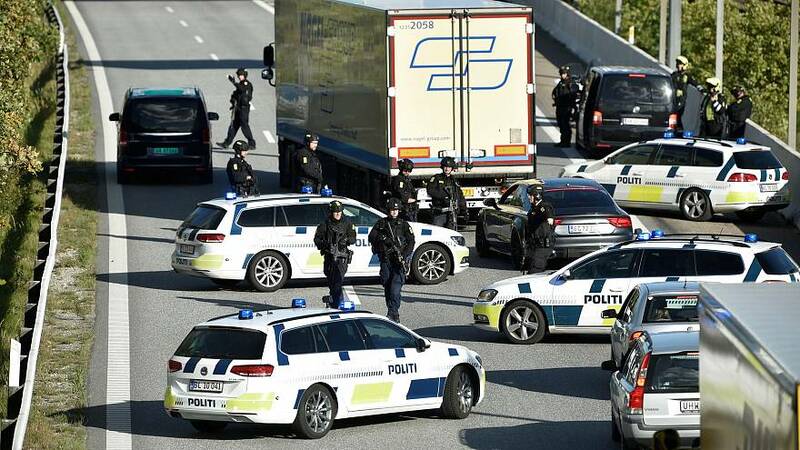 Two major bridges were closed and ferry links to Sweden and Germany were suspended as police mounted a manhunt over what was said to be a “serious crime”. What is Iran’s alleged role? Denmark’s prime minister, foreign minister and intelligence chief have condemned the alleged plot and pointed the finger at Tehran. “We are dealing with an Iranian intelligence agency planning an attack on Danish soil. Obviously, we can’t and won’t accept that,” intelligence chief Fin Borch Andersen said. Denmark has recalled its ambassador to Tehran for consultations. Iran’s foreign ministry has dismissed the accusations. “This is a continuation of enemies’ plots to damage Iranian relations with Europe at this critical time,” spokesman Bahram Qasemi was quoted by Tasnim news agency as saying. In early October, France accused Iran of plotting to bomb the rally of another exiled opposition group near Paris in June. It led to a diplomatic row, and last week sources said that an Iranian diplomat had been expelled. In November 2017, an Iranian exile and the founder of the ASMLA, Ahmad Mola Nissi, was shot dead in the Netherlands. In response, Denmark stepped up police protection of the group’s leader in the country. Euronews’ Persian service says the ASMLA is one of several groups seeking to defend the rights of Arabs in Iran, and active at home and abroad. It wants a separate state for ethnic Arabs in Khuzestan – an oil-producing province and strategically important region in southwestern Iran. Arabs are a minority in Iran, and some see themselves as under Persian occupation. The ASMLA reportedly has a history of carrying out attacks in Iran. A group linked to it initially claimed – before then denying – responsibility for an attack on a military parade in Ahvaz on September 22 which killed around 25 people, including children. The UN security council condemned it as a “heinous and cowardly terrorist attack”. Iran summoned the envoys of the Netherlands, Denmark and the UK over the shooting – and has accused the three countries of harbouring Iranian opposition groups. A separate Arab opposition group and the self-proclaimed Islamic State group (ISIL) also claimed responsibility for the parade attack, without providing proof. An Arab militant group fighting for sovereignty in Khuzestan was behind a five-day siege at the Iranian embassy in London in 1980, which ended when British special forces stormed the building. Could this affect efforts to save the nuclear deal? “In light of the latest development, Denmark will now push for a discussion in the EU on the need for further sanctions against Iran,” the Danish Foreign Minister Anders Samuelsen said. Denmark’s Prime Minister Lars Lokke Rasmussen tweeted that he had the support of British Prime Minister Theresa May, vowing that several countries would “stand up to Iran”. Samuelsen made it clear however that any new measures against Iran would not affect Denmark’s commitment to Europe’s role in the Iran nuclear agreement, saying this was still in his country’s “best interests”. The European Union has been trying to salvage the deal with Iran to curb its nuclear activity in exchange for the lifting of international sanctions – after the Trump administration pulled the United States out of the accord. Washington has re-imposed penalties on Tehran and threatened western companies who do business with Iran. The next batch of US sanctions, targeting Iran’s energy sector, are due to take effect in early November, following the first measures in August. The Danish claims are likely to give more ammunition to US accusations that Iran is a malign influence on the world stage. US Secretary of State Mike Pompeo tweeted to congratulate Denmark on the arrest, calling on allies to “confront the full range of Iran’s threats to peace and security”.